Home / International Football / Asia / AFC, Wanda Sports, CFG, PSG, Barcelona & Bundesliga amongst confirmed Soccerex China speakers! 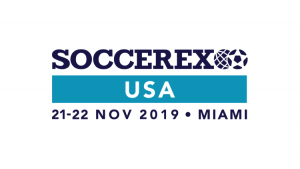 The Asian Football Confederation (AFC), Wanda Sports, City Football Group (CFG) and Bundesliga are just some of the elite football industry organizations confirmed to be providing high level speakers for Soccerex China 2019, May 23-24, Hainan. As announced earlier this week, AFC General Secretary, Dato’ Windsor John will be participating as part of the Confederation’s wider support for the event which sees them acting as event partners alongside the Chinese Football Association and the Chinese Super League who are also set to provide senior level speakers. Wanda Sports, CEO, David Yang will be sharing his considerable market expertise on the Chinese football industry and the part sponsorship plays, including a look at their high profile and successful sponsorship of the 2018 FIFA World Cup. Following their recent purchase of third-tier Chinese club Sichuan Jiuniu, City Football Group’s new Chief Executive for China, Scott Munn will be giving an exclusive insight into the organizations diverse China strategy which also includes regional offices in Shanghai and Shenzhen and a FIFA Online team in China. Scott will be joined by a number of major European rights holders including FC Barcelona, for whom Jordi Camps, Managing Director APAC will be outlining the breadth of their in-market activities which includes the Barca Experience in Haikou, an interactive 4,000 m2 museum and a large megastore, as well as a Barça Academy Pro with six pitches located at the same Mission Hills Haikou complex where Soccerex China will take place. Completing the trilogy of international club case studies at the event will be Sebastien Wasels, Managing Director, APAC, Paris Saint-Germain who will be sharing his expertise on the Asian market and what the Paris club is doing to capitalize upon its burgeoning fanbase there. With the new China office have just been opened in Beijing, Bundesliga’s new Head of China, will be using Soccerex China to outline the league’s plans in market and explain their strategy for making the Bundesliga the number one European Football League in China. Patrick will be part of a broader German involvement at the event which includes Marius Lorenz, Sportive Co-Ordinator China, Borussia Dortmund discussing the club’s approach to grassroots in China and how they are using partnerships to further their reach. Performance on the pitch, as well as off it, will be a key topic at Soccerex China with the event set to focus on the fulfilment of China’s national football development plan as well as the growth of the Chinese sports economy. To that end, the event will include a panel looking at the different facets involved in “Achieving Peak Performance” with Totum Sport CEO, John Kelleher providing specific insight into the role nutrition and hydration play. Other confirmed speakers for the two day football business event, which is expected to bring together over 1500 senior industry figures for the second year in a row, include Lui Jianhong, President of Penguin Sports and Edmund Chu, Managing Director at leading Chinese sport marketing company, SECA and Executive Director, Kosmos, the sports investment company he co-founded with FC Barcelona legend Gerard Pique. Previous Clinical India defeat Bangladesh 4-0 to reach SAFF Women’s Cup final! Next Roshan, Altamash on target as Bengaluru FC B beat ARA FC!